CES 2014 schedule: main press conferences and keynotes | What Hi-Fi? The year in consumer technology kicks off at the world’s biggest technology showcase, the International Consumer Electronics Show (CES). 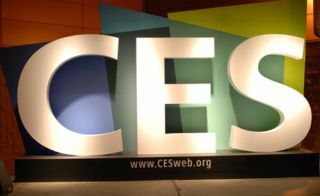 We are out in Las Vegas, with things set to get started with CES Unveiled on Sunday 5th January, followed by press conferences, product launches, keynotes and more. Here's a list of the big CES 2014 events so you can keep on top of what to expect, all times are Las Vegas (PST) time, which is 8 hours behind the UK. You can follow the big press conferences live by following us on Twitter at @whathifi and on the whathifi.com Facebook page. Of course, alongside the action at the main Las Vegas Convention Centre where the big consumer electronics companies dominate, we will also be covering every room of The Venetian, the home of the specialist hi-fi and home cinema companies, for all their new product news. Check out our Stars of CES from 2013 to get an idea of what to expect there, or our full CES 2014 preview page for a wider overview. Elsewhere, we are expecting to see new products from AudioQuest, Eclipse, Cabasse, Meridian, Mitchell and Johnson, Monitor Audio, Naim and plenty more. Of course we will have plenty more to report on following interviews, one-to-one briefings and covering the show floor, but the press events above cover off the big two days of conferences. Don't forget you can follow the press conferences live, and see all the other news, pictures and videos, by following us on Twitter or Facebook, or catch-up with all the news in-depth right here on whathifi.com.